Nearly 7 in 10 South Koreans played some type of video games in the past year, a survey showed Sunday. 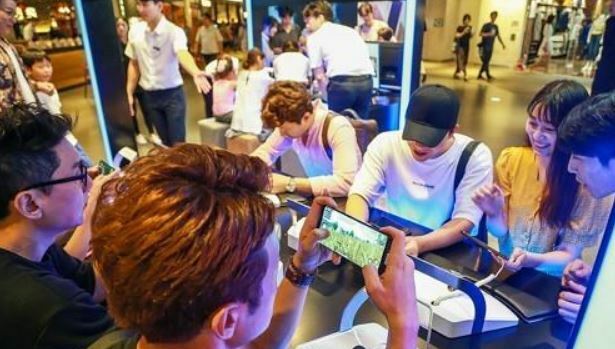 According to the survey conducted by the Korea Creative Content Agency, 67.2 percent of the respondents said they had experienced playing a video game since July last year. The poll was conducted on 3,020 people aged between 10 and 65 from June 21 to July 8. Among those who played games during the period, 88.3 percent used mobile games, followed by PC games with 59.6 percent, console games with 15.4 percent and arcade games with 10.6 percent, according to the survey. Mobile game users spent a daily average of 90 minutes on playing games on weekdays and 114 minutes during the weekend, the survey showed. The figures are up from 78.4 minutes and 97.7 minutes recorded last year, respectively.